Elliot Alderson sends information of vulnerabilities he found on BSNL. he released this from his twitter handle "fs0c131y". It looks like he has found multiple vulnerabilities like sql injection, ransomware attacks on two servers and broken authentication. he claims some of these vulnerabilities were reported by another hacker in India 2 years back and BSNL did not respond back. It is unclear if this hacker passed on some of the vulnerabilities to "Elliot Alderson"
According to the hacker, "You will find multiple issues with different level of severity. All these issues have been reported to BSNL via Twitter. I discussed with @BSNLCorporate and a member of their IT team. They acknowledged the issues and fixed them". It is very interesting to note, BSNL has talked to the hacker and worked on their issue and patched/fixed/taken down some of these site. Most of the vulnerabilities have been addressed.Contrary to the claims, BSNL action has been proactive. The same hacker had earlier identified vulnerabilities in multiple website like Indian express, aadhar, punjab police and Bangalore police. It is unclear if law enforcement agencies have registered cases to pursue the hackers. "Law enforcement agencies can take action if the affected parties register compliant", says a senior law enforcement officer. According to a Mumbai based IT security company , "we believe the intrusion are from hackers in india(who may have used vpn and tor) to hide their identity, If the hackers only wanted to expose vulnerabilities, they should work with penetration testing company who are CERTIN Empaneled. They will earn out of this exercise". Another IT Security Company who worked for close to 20 years in information security says, "This is work of a script kiddie. BSNL security was like 0/10 and this guys skill is 1/10." Kapustkiy, the hacker who hacked into 7 Indian Embassies and also hacked into Indian embassy in New York wrote to E Hacking News. In exclusive email he says he was in for a surprise when a senior Indian government official sent him an email. Kapustkiy claims "They have started to fix everything one by one, and thanks all media for the support", he claims he had no malicious intent and only wanted to show that these vulnerabilities existed. He resorted to posting on pastebin only because the Embassy Officials did not respond to him. Kapustkiy sent a screenshot of email(to E Hacking News), he received from the joint secretary in MEA. The Senior MEA officially has appreciated kapustkiy's efforts to bring forth the vulnerabilities. He requested the hacker not to post further hacks into pastebin. Kapustkiy was pleasantly surprised by this email from Ministry of external affairs. "Corporate India should learn from this incident, how Government of India has responded to such an incident where they appreciate the hacker and take steps to fix the vulnerabilities. Most Indian corporates cover up security breaches in India, maybe they should take a page from the Indian Government" says J Prasanna, Director, Cyber Security and Privacy Foundation Pte Ltd. 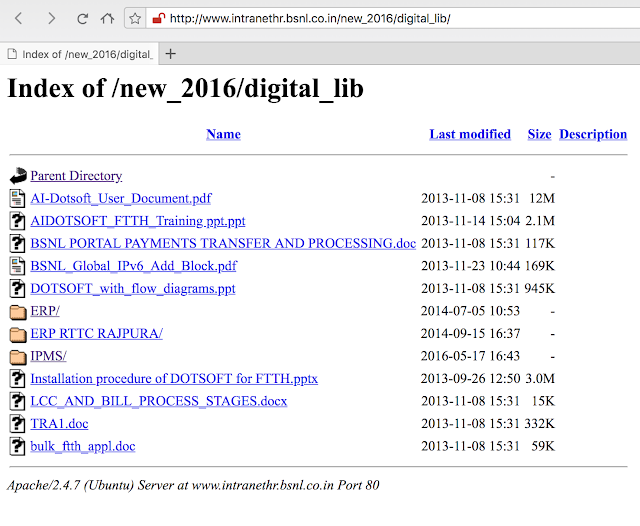 Seven domains of Indian Embassy in Europe and Africa has been hacked and published by Kapustkiy & Kasimierz L on Pastebin.com (http://pastebin.com/GqJcwSSc). The countries where Indian Embassy got affected are South Africa, Libya, Italy, Switzerland, Malawi, Mali, Romania. Indian Embassy in South Africa (http://www.hcisouthafrica.in/) was the first one to be hacked. 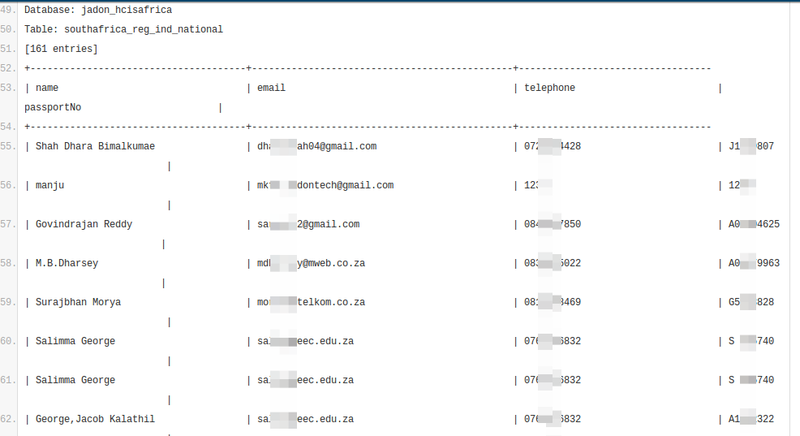 The hackers published the admin login detail and password, other than that they also published the whole database containing the name, passport number, email-id and their phone numbers. The published data contains 161 entries, and the database contains 22 tables. 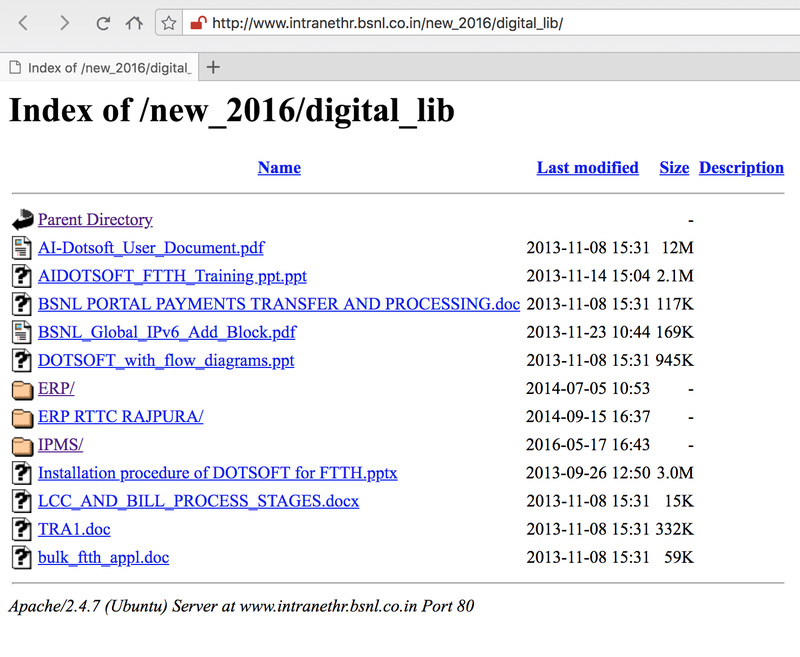 While the Indian Embassy in Bern was the second target (http://indembassybern.ch/) and it contains 3 databases with 19 tables with total 35 entries, and login details with passwords. The compromised data includes the name, last name, email id, address, college, and a course where students are enrolled. The third country that got affected is Italy. The hackers hacked three databases with 149 entries, including the name, email-id, telephone numbers, and their passport numbers. Here also the affected are the students. In Libya also the Indian embassy's three databases were hacked with 24 tables and 305 entries. While High Commission of Mali was the least affected by this hack, with 14 entries and 16 tables. The Indian Embassy in Malawi hacked database contains the 74 entries with 16 entries, including their name, email-id, and their mother name. The Romanian Embassy saw the hack of two databases with 139 entries and 42 entries separately with their passport numbers. When E Hacking News contacted the hacker, he clarified that "I am from Netherlands. 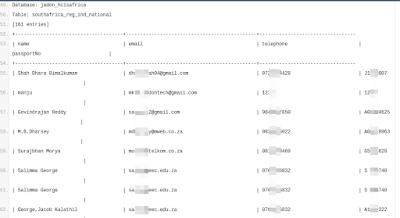 I've found several SQL on their website and I reported it.But they ignored me so I dumped there db" - says hacker on email. Security Researcher at F-Secure has spotted a piece of malicious code injected in the official website of the City of Franca in São Paulo, Brazil(franca.sp.gov.br). Researcher didn't specify what exactly served in the malicious domain. The website using outdated joomla version(1.5), Cybercriminals might have exploited any known vulnerabilities. According to researchers, this is not the only Brazil government website using outdated CMS. F-Secure has contacted the Brazil's Computer Security and Incident Response Team - CTIR Gov and informed about the incident. An unknown hacker breached the website of the Prime minister Yingluck Shinawatra's office (opm.go.th/opminter/mainframe.asp) and posted abusive message with the altered photo of her. "I’m a slutty moron” The offensive comment made by the cybercriminals in the defaced page. “I know that I am the worst Prime Minister ever in Thailand history!!!”. Although the defacement sign says it was hacked by the hacker group "Unlimited Hack Team", the team denied the involvement in the security breach. “It might have been done by some teenagers... or maybe it was for political purposes,” the prime minister’s secretary-general, Suranand Vejjajiva is quoted in the NewStraitsTimes' report as saying. “Hacking a website is easy... but don’t forget that checking who did it is not hard either,” he told reporters. It appears the security breach comes after she filed a defamation case against a cartoonist for allegedly comparing her to a prostitute on his Facebook page. "Old is Gold" but it is not applicable for your CMS. A Number of Nepal government websites which use out-dated joomla version have been breached by a group of hackers. The security breach was done by the group called as Msulim Cyber Sh3ll'z. The same group yesterday hacked into a number of Bangladeshi and Vietnam government website. The list of affected sites: Nepal Law Commission(lawcommission.gov.np), deonuwakot.gov.np, www.dadokanchanpur.gov.np, Department of National Park and Wildlife Conservation(dnpwc.gov.np), Ramgram Municipality(ramgram.gov.np), nidmc.gov.np. The websites have been defaced with a simple message "Box owned by shockwave Khan! This time nepal Government Boxed xd. No comments". 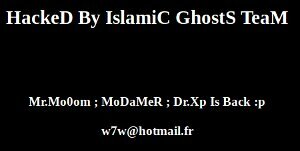 A hacker group named as "Islamic Ghost Team" has breached government websites from Haiti, Vietnam,Turkmenistan. Haiti government websites including Interministerial Committee for Planning(CIAT.gouv.ht) , Ministry of Planning and External Cooperation(mpce.gouv.ht) is affected by this security breach. The hacked site includes sub-domain of Commerce and Industry of Turkmenistan website(cotton.cci.gov.tm), sub-domain of Electronic portal Pacific if Vietnam(soyte.binhduong.gov.vn). The team left their footprints on the affected websites by uploading their defacement page. The hackers didn't specify any specific reason for the attack. 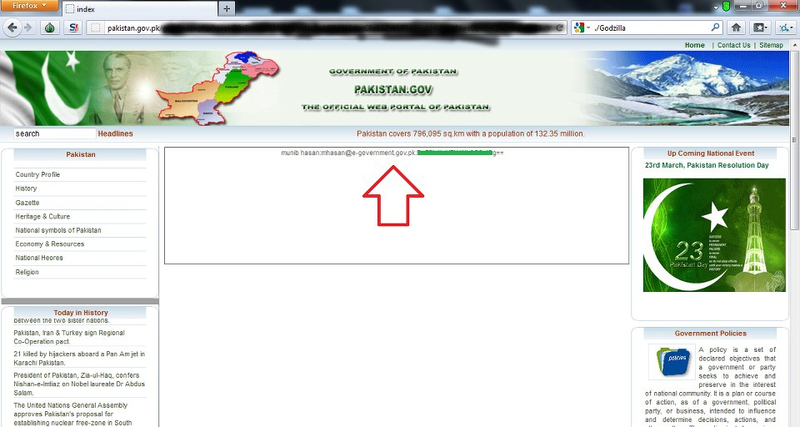 From the Zone-h archive, the hacker seems to target the Government websites. In the past, the team defaced government websites from Panama, Saudi Arabia, Malaysia, Kenya, Libya. 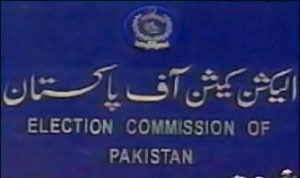 The Election Commission of Pakistan(ECP) website reportedly suffered cyber attacks - Pakistan Government temporarily shuts down the www.ecp.gov.pk to avoid further cyber attack. The attacks are allegedly originated from Asia and Russia, according to Director General IT, Khizar Aziz statement. “Had our host server was based in Pakistan, then there could have been immense loss,”The Pakistan Today quoted as Khizar Aziz saying. He said the ECP host server is Canada-based server. He also said that they are transferring the ECP to more secure server to prevent future cyber attacks. "Aziz said that ECP’s website has been shutdown under a deliberate strategy to avoid further attacks during the transition period." The Pakistan Today report reads. Two Turkish Government websites found to be affected by critical SQL Injection vulnerabilities. The hacker known as D35m0nd142 has exploited this vulnerability in a such way that he compromised database of those websites. The two affected sites are 'Central Finance & Contracts Unit (cfcu.gov.tr)' and 'Republic of Turkey Ministry of Economy(tcp.gov.tr)'. In the dump(pastebin.com/GgjcKggL) belong to CFCU, the hacker leaked the 912 email addresses and encrypted passwords. "I've hacked over 96000 accounts but I've published just 912 of them and all encrypted." D35m0nd142 wrote where the data was leaked. In the dump (pastebin.com/ZuzMqCqA) belong to TCP.gov.tr, the hacker leaked the 96 email addresses and encrypted passwords. 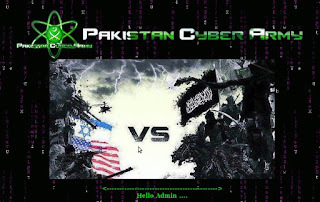 Indian hacker Godzilla has once again hacked a very important Pakistani site www.pakistan.gov.pk . Then he told the reason behind the attacks that "Pakistan is a country which is currently supporting terrorist activities through ISI, and if they regret Pakistan army and Ministry of Defense mail server backups are enough to proof how closely the are related to terrorism. Pakistan stop these activities before its too late." The attack seems to be done via SQL injection. He finally noted that "No matter how hard you try we will get inside in no time." Speaking to EHN the hacker said "Admins and Governments takes website security lightly thinking that they are hosted outside gets treated through your inside network. Thats enough to get inside your network"
A hacker group calling itself AnonGhost has hacked into 11 Governmemt websites belong to different countries. Most of the hacked websites are from Bangladesh and few sites from brazil and greek. 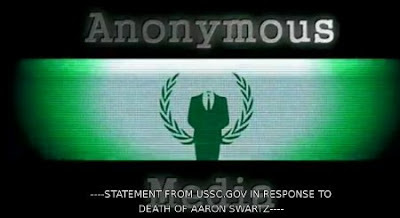 Once again the Teamr00t comes with the mass defacement of Government sites . This time Mexican government sites are being targeted. "# It is time the Mexican government started to help the people of Mexico. Drugs, corruption and poverty continues to grow, and must be dealt with! #" Hacker said in the press release. At the time of writing , most of websites displays the defacement page and few sites has been recovered and displays "forbidden" or "404 not found" error. The hacker group "Teamr00t" become more active in recent days and keep providing mass defacements. Their favorite target is Government website. 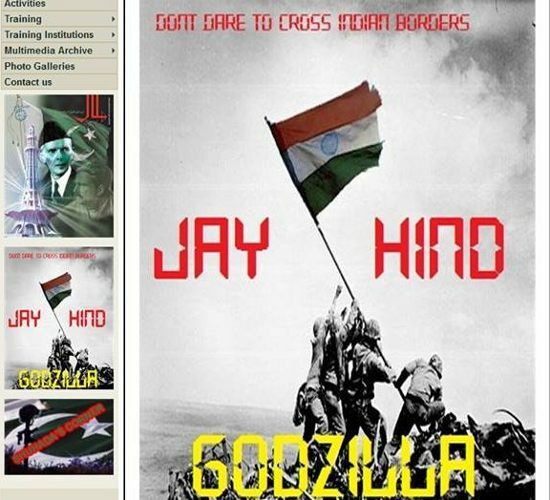 Today, they have defaced more than 40 Government websites. Most of the hacked government sites are Mexico. Also, Indonesia, Bolivia Brazil, Peru and Thailand sites are defaced by the hackers. The sites are defaced with their usual message to the government. Most of the websites still displays the defacement page. So far, they have hacked large number of government websites belong to various countries. Yesterday, they hacked more than 20 Government websites. You can find the hacks of Teamroot here : Teamr00t . However, Turkey Finance Ministry has denied the hacking claims from RedHack. “All systems provided by the ministry through the Internet have been working without any problem,” Hurriyet Daily News quoted the statement from the ministry . A legal investigation into RedHack was launched after the group staged a cyber attack on the Ankara Police Department’s website in February 2012. 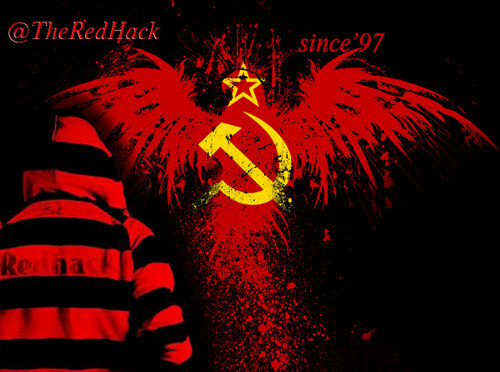 Turkish authorities have named RedHack as a terrorist group. Prosecutors demanded up to 24 years in prison for alleged members of the hacker group for the cyberattacks they’ve launched against government systems over the past years. In the first hearing, held Nov. 26, an Ankara court freed three arrested suspects in the alleged hacking case, pending trial. A hacker with online handle "code cracker", from the hacker group " Pakistan cyber army", has defaced more than 400 sub domains belong to Chinese Government. It seems like hackers managed to breach the main website Xuchang City People's Procuratorate. All of the defaced sites are sub domains xchjcy.gov.cn. Also few other defaced sites has been listed there. All of the hacked websites has been injected with a html file called "Crack.html" that displays the defacement message. The main pages are not affected. The well-known hacker collevite Teamr00t has managed to breach the government websites from several countries and defaced. The hacked sites are from Brazil, Paraguay, Philippine, Thailand,Indonesia, Bolivia and more. 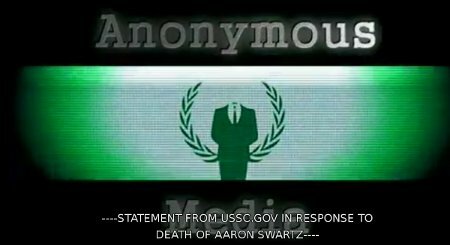 The defacement was part of their ongoing hacking operation against the government of the world. They've send a message to the government. "To the governments of the world, it is time you listened and acted upon what would benefit and help the people of your countries! 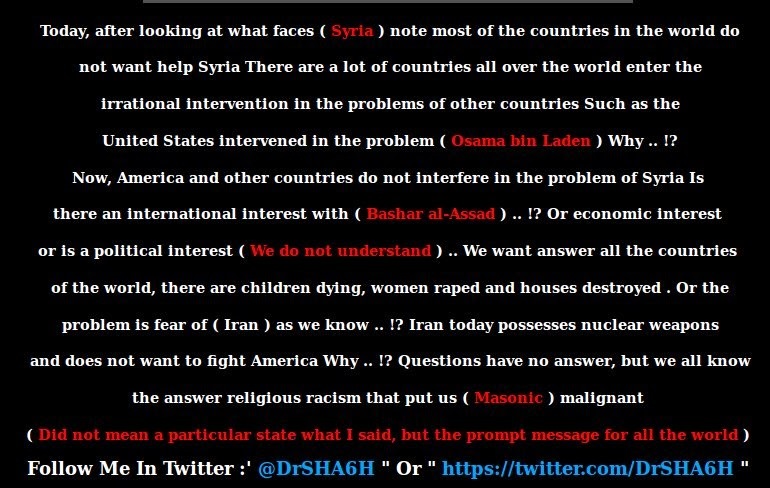 It is now time for you to start listening to the voices of your nation and deal with the problems that are occurring every single day. " The defacement message reads.
" Everyone has the right to freedom of speech and your people must be allowed this freedom. 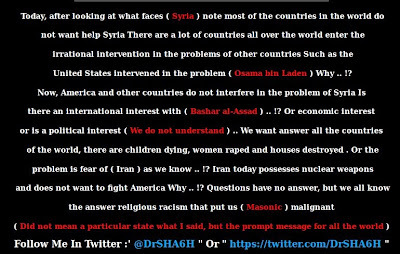 Stop, listen and take action that will help benefit your nation!" The list of affected site includes City of Flores de Goiás (floresdegoias.go.gov.br),Gov Brazil ( www.cidadedeguapo.go.gov.br), Gov Paraguay (intranet.annp.gov.py), Laoag City site (www.laoagcity.gov.ph), Gov Thailand (cityub.go.th) , National Adoption Ministry (mimp.gob.pe), senavex.gob.bo. Be careful while visiting Taiwan Government websites , it may redirect you to BlackHole Exploit kit page. 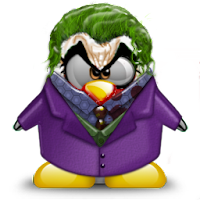 We have discovered three infected Taiwan government websites. Initially , the infection identified by @Hulk_Crusader. "h00p://www.tai**i.gov.tw/page-3.htm <- another Taiwan .gov site distributing malware. (Copies of Policies spam)" The tweet posted by the researcher reads. At EHN, i have discovered another infected government website. The infected sites has the same URL pattern ('page-3.htm') and contains an iframe pointing to BlackHole Exploit page "podaruno**.ru". After quick Google search, i come to know that the infected websites are being used in a Wire Transfer Spam mail.